INDUSTRY.co.id - Jayapura - The Papua People's Legislative Assembly (DPRP) appreciates Freeport's 10 percent stake in Bumi Cenderawasih after 54 years of existence of the US-based company in the local area. Chairman of DPRP Yunus Wonda in his press release, in Jayapura SaJumat night (12/1/2018) said that his party expressed his gratitude to President Joko Widodo, the article for 54 years PT Freeport operates in Papua; the local provincial government finally has a share. "This is a long struggle and great attention from President Jokowi to pay attention to the welfare of the people of Papua, one of them by giving 10 percent of the 51 percent stake in PT Freeport divestment," he said. 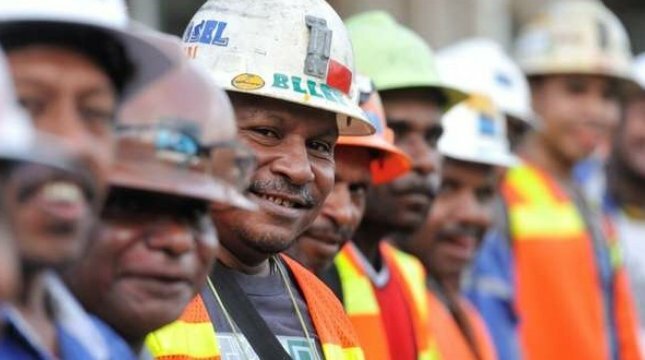 According to Yunus, since Lukas Enembe-Klemen Tinal was inaugurated as Governor and Vice Governor, the Papuan House of Representatives gave full support to fight for ownership of shares in the mining company. "Therefore, the Papua parliament together with the governor committed and made the regulations, with 17 items submitted to PT Freeport Indonesia," he said. He explained the long struggle and at the end of the leadership of the Governor of Papua, PT Freeport divestment share agreement has been signed, of course for the welfare of the people of Papua. "Papua gets 10 percent of Freeport shares cannot be separated from the commitment of President Jokowi, to build Bumi Cenderawasih," he said again. He added that the provincial government of Papua and the regency of Mimika officially owns a 10 percent stake in PT Freeport, marked by the signing of an agreement by Finance Minister Sri Mulyani, Energy and Mineral Resources Minister Ignasius Jonan, Papuan Governor Lukas Enembe, Mimika Regent Eltinus Omaleng, and President Director of PT Inalum Budi Gunadi Sadikin at the Ministry of Finance office on Friday (12/1/2018).